Femoroacetabular impingement (FAI) is a condition where the femoral head/neck and acetabulum rub against each other causing damage and pain to the hip joint. The damage can occur to the articular cartilage (the smooth white surface of the ball or socket) or the labral tissue (the lining of the edge of the socket) during the extremes of normal movement of the hip. The articular cartilage or labral tissue can fray or tear after repeated impingement trauma. Over time, more cartilage and labrum is lost until eventually the femur bone and acetabulum bone rub together. Bone on bone is commonly referred to as severe Osteoarthritis. 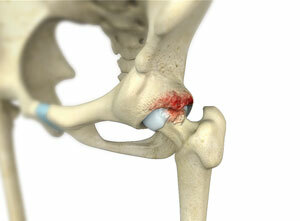 FAI impingement - there are 2 broad types: Cam and Pincer. CAM Impingement: The Cam form of impingement is when the femoral head and neck are no longer not perfectly round, most commonly due to excess bone that has formed at the head/neck junction. This lack of roundness and excess bone causes abnormal contact between the femoral head/neck and the rim of the acetabulum. PINCER Impingement: The Pincer form of impingement is when the socket or acetabulum rim has overgrown and as a consequence the socket becomes too deep. It covers too much of the femoral head resulting in the labral cartilage being pinched at the extremes of movement, especially flexion. The Pincer form of impingement may also be caused when the hip socket is abnormally angled backwards causing abnormal impact between the femoral head and the rim of the acetabulum, again with hip flexion. Conservative treatment options refer to the management of the problem without surgery. 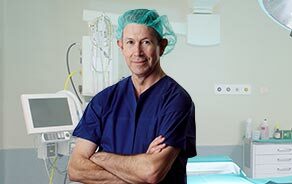 Nonsurgical management of FAI will probably not change the underlying abnormal biomechanics of the hip causing the FAI but may offer pain relief and improved mobility.